Grey patched mining bee. (Unfortunately, I lose some of the detail of the photograph when I use my Corel package to zoom in and clip it to a size I can upload onto my website). 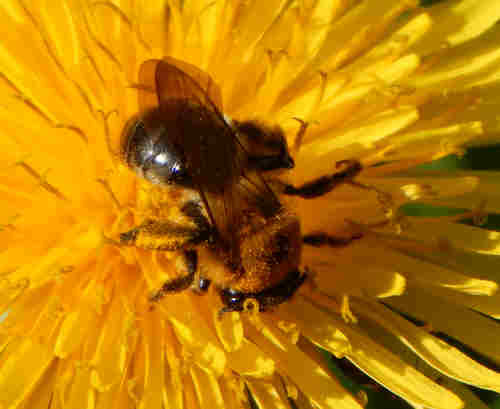 All kinds of bees love dandelions, and among the fans of this flower, we can include the Grey-patched mining bee, Andrena nitida. Grey-patched mining bee, Andrena nitida. In Britain, this species can be seen from late March onwards. I took this photograph in early April, and it appears to be a female. 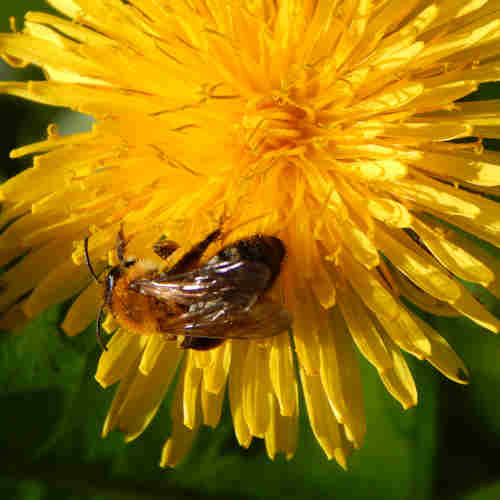 In addition to dandelions, it may be seen foraging on hawthorn, blackthorn, gorse, dead nettles, speedwell, willow, and cherries. All of these are present on an old brownfield site close to where I live, and where this photograph was taken. This species is univoltine (having one generation, and therefore, one flight period in a year). 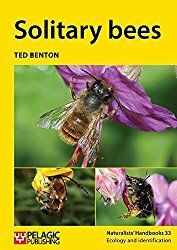 It likes to nest in flat or sloping turf, and according to, and according to Stephen Falk’s bees of Great Britain and Ireland, nests may also occur in formal lawns as well as sheep-grazed hillsides. It may be attacked by the parasite, Gooden's Nomad Bee (Nomada goodeniana).